Sign up with your email to get updates about latest news and special offers. 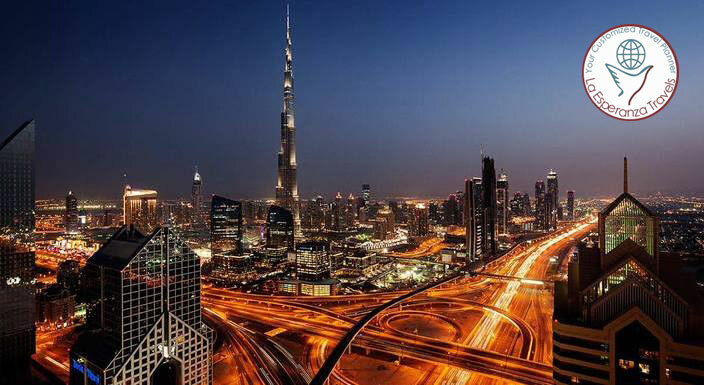 Dubai is the United Arab Emirate's vacation hot spot known for luxury shopping and lively night life . This city of high-rises and shopping malls has something to offer for all age groups . Climb up Burj Khalifa ,worlds tallest building or enjoy the Dubai fountain with jets and lights choreographed to music. Visit the man-made island-Atlantis-the Palm, a resort with water and marine-animal parks or top it up with water parks or Ski resorts Or Deserts Safari . 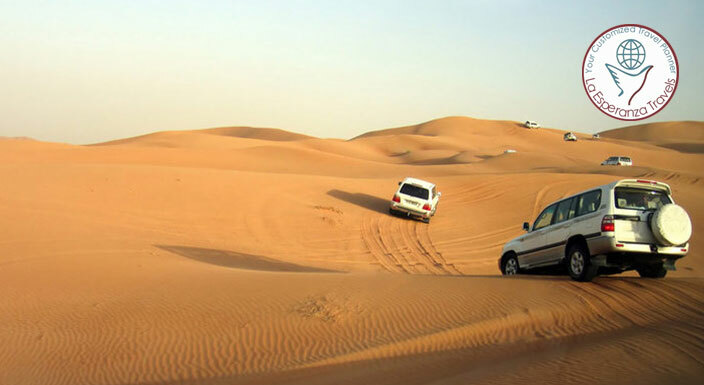 Extend your stay at Abu Dhabi and experience the Ferrari World . Which city are you in right now? Which city are you planning to visit? Tell us a bit more, and we're good to go! If you find a cheaper available airfare quote and we don't beat it, we will fly you to your destination for free. © 2016 La Esperanza Travels. All Rights Reserved. Hi ! How can I help you?